Jordan Petaia was the incumbent NBT; a mini Israel Folau as Tim Horan labelled him. He’s only 18, but he was going to even power to Wallabies to World Cup glory this year. He can bust the line, sniff out the tryline, create something out of not much. But then he busted his foot playing for the Queensland Reds against the Crusaders last round and was ruled out for the season. It was a cruel blow for Reds and Wallabies fans, who were understandably buzzing about the athletic and powerful outside centre, even if he was only a few games into his Super Rugby career. Petaia is likely to miss at least four months, which is far too long to go without naming a replacement to take the NBT mantle. When he was a schoolboy at St Joseph’s College in Sydney, Tom Wright was talked up big time too. A speedy and versatile back who left Joeys in 2015, he was compared to one of the school’s best players of recent times, Kurtley Beale. While Beale signed with the Waratahs as a 16-year-old, Wright – after playing Australian Schoolboys rugby but having enjoyed a strong junior rugby league career – chose to have a crack at the 13-man code with the Manly Sea Eagles. He chalked up five NRL games at Manly in 2018, but only a few months after making his debut against Cameron Smith’s Melbourne Storm in front of a crowd of 50,000 people at Suncorp Stadium, Wright opted to return to rugby at the end of last year. 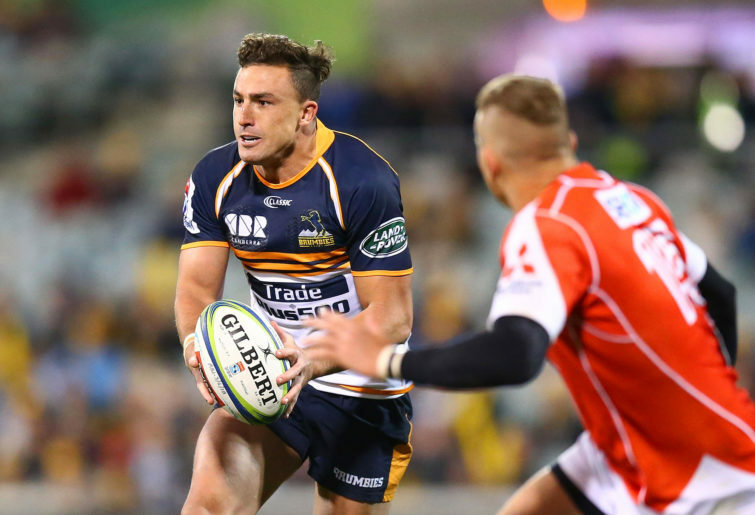 The 21-year-old will make his starting debut for the Brumbies tonight against the Melbourne Rebels after coming off the bench to score a try as they were hammered by the Hurricanes in Palmerston North last round. Not really the credentials to fit Australian rugby’s NBT profile, right? A 15-minute cameo from someone who last played rugby three years ago at schoolboy level. Perhaps the other Tom in the Brumbies backline – Tom Banks – deserves the tag. He’s at least proven over a few seasons that he’s developing into a top-quality outside back and with the kind of line-breaking strike rate the Wallabies sorely crave. But there deserves to be a decent level of hype around Wright given his footwork and pace. 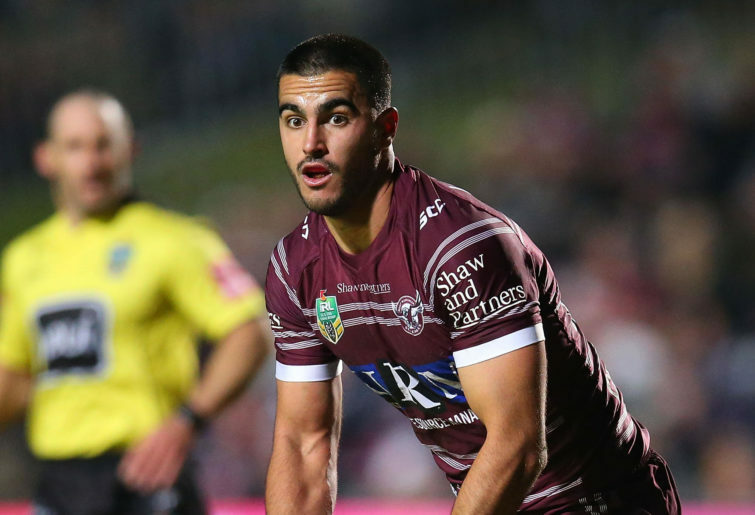 He can split the line as a ball-runner, but as a five-eighth for Manly’s under-20s team a few years ago, his passing game and vision was equally eye-catching. Australian rugby is certainly crying out for another classy midfielder. He will start at inside centre for the Brumbies, outside Christian Lealiifano, and they will mark up against Quade Cooper and Billy Meakes who have both been in solid form for the Rebels. Remember, Nehe Milner-Skudder was with the Canterbury Bulldogs under-20s side a few years before he headed back to New Zealand and started playing provincial rugby with Manawatu. He carved it up and in 2015, he got his first Super Rugby game for the Hurricanes. Then only a few months later he was handed his All Blacks debut and went on to play a big role in their World Cup-winning team. It’s probably far-fetched to think that Wright could accelerate like Milner-Skudder and get to a level in which his Super Rugby debut would come in the same season as Wallabies selection. But there’s some revered rugby judges that have big raps on Wright, and that’s good enough to offer hope to Wallabies fans that even if he’s not a World Cup saviour, he’s on the verge of big things.